NFL Player Protests: Should NFL Players Stand or Kneel for the National Anthem? Each team should be allowed to decide if and how they might enforce the national league's stand-up policy. Players can add that factor into their decision when deciding what team to join. Everyone should freely decide for himself. If they want to kneel, they will. The teams shouldn't focus on politics. 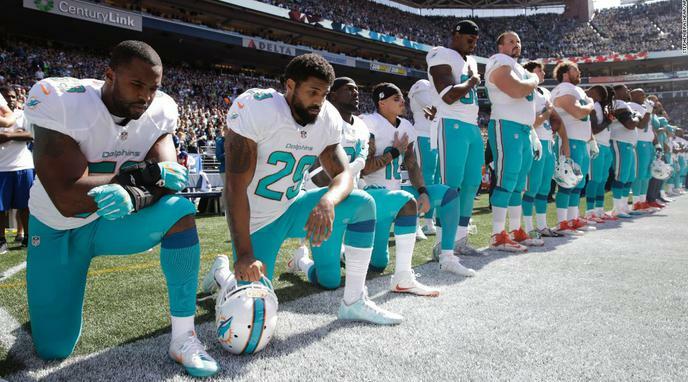 The NFL values homogeneity with its owners and teams. Allowing individual teams this autonomy could be a Pandora's box in other decisions normally voted on at owners' meetings. Though a player can decide whether to join a team or not, a player is not simply able to join any team that they wish. This certainly complicates the player's ability to decide if a team's policy matches their preference when it comes to protests.